I love the honesty in your posts Eve. This one resonates with me because it goes to the heart of the value of yoga to me; not to be more bendy or quiet in meditation, but to be a nicer, kinder, person in my relationships. But I’m struggling with this statement: It may be that those people who seem to get to us are merely holding up a mirror. They are testing us on how strongly we can stand in our unreactive selves…..I think it sounds true but what do you mean exactly? Is it that when one is grumpy and one takes it out on a loved one for example, that the loved one is grumpy back as a mirror? 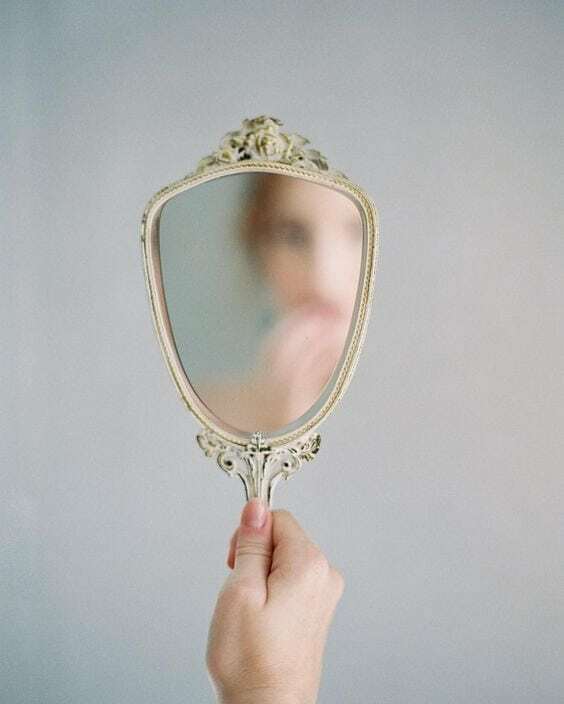 Or is it that our loved one sees us clearly and reflects what they see back to us and we have a choice to either be reactive or take it on board for self-study? I’m betting the latter but just curious. The best way I can answer Katrina’s question is with an anecdote from my relationship with my husband Daniel. On a night when I arrived home after teaching, I got ‘plugged in’ when I saw that most of the lights in the house were turned on. Daniel and my stepson were in the t.v. room watching a show, oblivious to the lit up house. Without even saying hello, I told Daniel I was upset with the waste of electricity. I went all around the place, muttering and complaining and turning off lights. Then I circled back to interrupt their viewing for the second time. I said something, I don’t even remember what, in a martyred and irritable voice. Daniel stopped me in my tracks, saying, This isn’t about the lights, is it? He was completely on target, but I wasn’t ready to lay my case to rest. A bit more ranting and, then, I burst into tears. I was actually upset because our school, Sydney Yoga Centre, had been broken into earlier in the day. Some money and other items had been stolen. I hadn’t given myself time during the day to process the feelings of violation I’d experienced. In the moment when Daniel identified that my upset wasn’t about what I thought it was, was I glad? No. I didn’t want to let him off the hook. Isn’t this often the case? When you bring feelings home to yourself to experience, you will also feel some pain. In my case, the utter helplessness of my school having been broken into. It’s mysterious how this works. Go into the pain, stay with it until it’s ready to float off. With any luck, the sun may come out again and soon. I felt so much better after shedding those tears and then talking about my upset. That’s what it was. My upset. The upset of mine. And, nobody else’s. I think you’re blessed with a partner (as is he) that knows you so well and in this example at least, was able to be firmly non-reactive. And that little painful period of reflection between realisation and letting go of the ‘beef’ is a bit of a mystery as to why we dwell there for however long. I’ve been there many times and I guess that familiarity helps me to recognise the symptoms and let go of it more gracefully these days. Thank the goddess for yoga, svadhyaya and growing up. Namaste Eve.